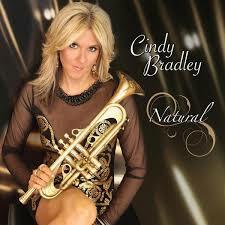 Cindy Bradley’s new album, “Natural,” is a triumph for the trumpet: it is brilliant, bold and groove-worthy. At various times, listeners can expect to hear the late Teena Marie start singing. While it is possible for jazz musicians to develop impressive skill sets without formal education in the genre, from the sounds of things, having a master’s degree in jazz trumpet performance is an asset for Bradley. There is a tendency to take jazz for granted. 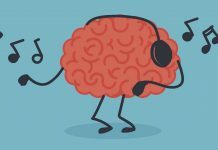 We hear it in commercials and movies, and when we watch the occasional documentary, we can tell a saxophone from a trumpet and we assume we have arrived. However, in jazz’s century-long history, there have been a number of theoretical developments that the general public might have missed. In short, the complex nature of jazz would surprise people. It is important that people keep listening. The general population’s lack of jazz knowledge can be blamed on our easy consumption of popular culture. While jazz was growing up and evolving, its sometimes badly behaving cousins, rock, pop and hip-hop, garnered a great deal of attention, and unless people looked for jazz, they wouldn’t see what was happening in the form. One of the things that has happened to jazz is female horn players. Maybe this isn’t new, but it is exciting to see a contingent of young women who have given their voice to jazz through brass instruments. This is not a re-casting of the Cyndi Lauper hit. At least it displays no sign of it. Sophisticated urban sounds percolate at the beginning of the track. 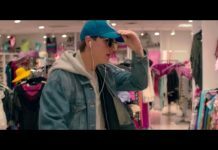 Bradley’s trumpet playing flexes as the song builds; at first, it teases, bubbling with the strangled trumpet sound from decades past. With this track, Bradley is showcasing herself as a bop master if there ever was one, and the song dances with each repetition of the early 20th century motif that sounds as if the very tune were doing the Charleston. This is not a sit still, relax and enjoy kind of song — it is kinetic and enjoyable from the first note. The challenge for dancers is to be able to keep up. The zig-zag feel is likely to get people waving their arms and shimmying their bodies: a remarkable feat for a trumpet. While “She Bop” zigs and zags with decades’ old verve made new, “Category A” is all-new. It is a fusion of trumpet, guitar and bass topped off with drums. It is quite easily a dance song. Like the aforementioned tune, it is not a sit still and enjoy kind of track. This is a party starter. The rhythms here call to mind R&B and soul. The horn hits its recurring theme hard, and those given to dancing will have a difficult time not moving their bodies to appreciate the in-your-face rhythm. Bradley plays with a coolness and confidence that encourage listeners to re-think their misperceptions about the trumpet and to perhaps look a bit closer at what jazz is up to these days.